Customers have caught on that support interactions are getting better. When they reach out, they’ve come to expect an instant response that says “we’re here for you”. When they want information, it’s expected to be accurate, up-to-date, and easily accessible. Essentially, they come to expect efficiency during support interactions. As a result, businesses are becoming more cognizant of their self- service offerings. Customers want to be left feeling empowered; it’s even better when they can do so on their own. Self-service saves time for agents, cuts down on organizational costs, and leaves the customer with a positive outlook of a brand. 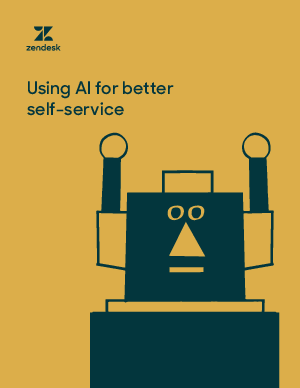 This eBook delves into how AI can enhance your customer self-service offerings with automatically-generated knowledge bases, content cues for your service agents, and chatbots.